As the holidays approach, please note that the LeadingAge North Carolina office will be closed on December 25-26, 2017 and January 1-2, 2018. We hope everyone enjoys a relaxing and warm holiday season with loved ones. Happy New Year! At press time, our elected officials in Washington, DC were still working on a final tax reform measure that could be voted on by both the House and the Senate. It appears a vote will occur early next week with the goal of having legislation on President Donald Trump’s Oval Office desk before the end of the year. At this point – and we emphasize at this point – it appears that your good work will pay huge dividends if both chambers pass – and the President signs – the final version. Early indications are that the final version retains both the medical expense deduction AND the private activity bond provision. We are convinced that your calls and emails and social media posts led to what appears to be a major victory on these two issues. That said, we continue to encourage you to reach out to your Representative and your Senators and urge them to oppose the legislation because of its all-but-certain draconian impact on our country’s safety net moving forward. LeadingAge national has been at the forefront of efforts to highlight the impact that the legislation’s exponential increase in the deficit would have on Medicare, Medicaid, and other safety net programs. Click here to submit a proposal to present. RFPs due by December 31, 2017. Please be thinking about outstanding people and programs in our field as the LeadingAge North Carolina 2018 awards nominations will open for submission next week. Be on the lookout in your inbox, and on our website and social media pages for that announcement. Award nominations will be due January 31, 2018.
Business members please note that registration for the 2018 Trade Show will open in January. Watch your inbox for more information. Announcements will also be made on our website and social media pages. According to this article, researchers estimate that 25 percent of people ages 65 to 69 take at least five prescription drugs to treat chronic conditions, a figure that jumps to nearly 46 percent for those between 70 and 79. Have you heard of deprescribing? It's a growing movement in medicine to systematically discontinue medicines that are unnecessary for any reason. Check out this article for resources for learning how to deprescribe that your clinical staff might use to better care for residents. This information might also help residents advocate for themselves at the doctor's office. To understand how employers can improve engagement and retention, FSG, a consulting firm, worked with Hart Research Associates to survey over 1,200 entry-level, hourly workers between the ages of 17 and 24. They also interviewed dozens of companies to find out how they have improved retention. The young people surveyed worked in a wide variety of industries, including health care, manufacturing, retail, and hospitality. In this article they share five key insights for employers looking to improve retention and engagement, including how to improve manager training, diversity and inclusion, and scheduling. The information might be helpful to folks who manage hourly workers in the dining room and elsewhere. The author suggests questions to ask, assessments to request, and ways to build trust with a medical team when the patient is an older adult. Check out this article for more ideas on advocating for an older adult at the doctor's office. Please consider sharing this article with residents and their families who want to make the most of doctor visits in an increasingly complex and technology-based healthcare system. Did you know 1,000 North Carolinians die every year due to prescription medication overdose? For every one overdose death, there are 17 emergency department visits and more than 9 hospitalizations due to overdose. 67% of people who abuse prescription medications get them from family and friends. They think these medications are safe. But in the wrong hands, they’re not. Find out who your county campaign director is and learn more about this problem by clicking here. You may request educational materials to post in your community and in your HR office by clicking here. Please contact the LeadingAge North Carolina office at 919-571-8333 for assistance obtaining materials. Thanks to everyone who responded to the recent member question regarding on-site banks. Please click here to download and view a spreadsheet of all of the responses received. Submit Your RFP for Spring Conference 2018 Today! LeadingAge North Carolina invites you to share your expertise in the field of aging services. 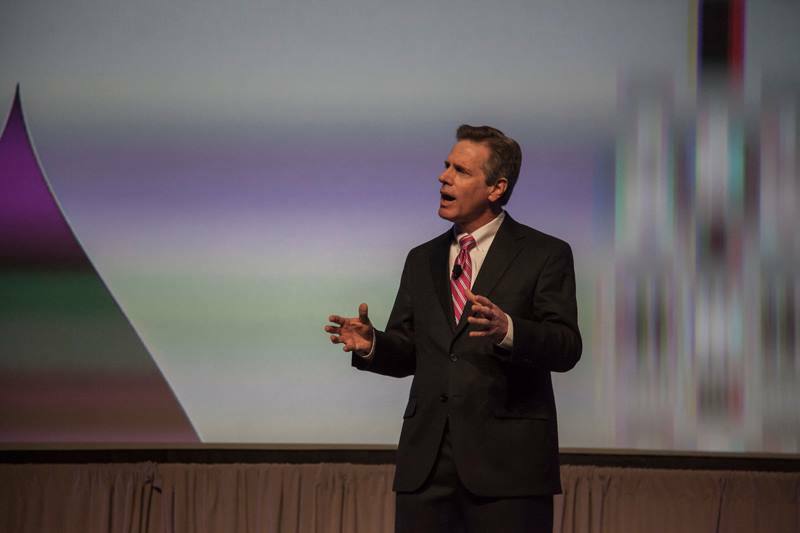 Submit a proposal to be a presenter at our largest event of the year. The Spring Conference and Trade Show will take place May 14-17, 2018 at The Omni Grove Park Inn in Asheville, NC. We seek proposals that demonstrate best practices, exemplify creativity, and inspire innovation in the field of aging. Submissions may be made online by December 31, 2017. Love & Company is conducting a study on diversity in Life Plan Communities. Their goals are to 1) gather data to provide insights on what levels of diversity currently are in Life Plan Communities across the country, and 2) identify strategies that have been used-either successfully or unsuccessfully-in efforts to increase diversity of Life Plan Community residents. The findings will be made available (free) to all LeadingAge members. To help gather background information needed to complete the survey, you can download a survey guide at this link. To complete the survey itself, please click here. Senn Dunn Insurance, a Marsh & McLennan Agency LLC Company, invites community members to participate in their free Employee Benefits Compliance Webinar Series. The last webinar this year will be held December 21 from 2pm-3pm EST. The topic will be a review of the Affordable Care Act and other benefits-related guidance released in 2017 and discussion of what employers need to do to remain in compliance in 2018. Click here to download the brochure. Click here to register. Congratulations and thank you to everyone who attended the Marketing Symposium in Virginia this month. Seventy marketing professionals from North Carolina, Virginia, and Maryland gathered to share ideas and learn from experts in the field. We look forward to another great Marketing Symposium in September 2018! Please send any ideas and suggestions for our next program to Leslie Roseboro. Be on the lookout for registration opening next fall. Thank You LeadingAge North Carolina! Adjusting to the new Vizient/Provista arrangement, updating Value First participation agreements, and maintaining the high level of support we strive to provide has made 2017 a productive though challenging year. Through it all LeadingAge North Carolina members have been gracious and cooperative while continuing to capitalize on the savings available through Value First GPO. We are grateful for your trust and loyalty. Thank you! Our goal is to continue serving you in the best way possible in 2018 and beyond. Whether you are planning major renovations, in the market for a new passenger van, trying to drive down day-to-day operating costs, or just need someone to work with staff on identifying vendors to compete for your business, we can help. Contact your representative Vanessa Ceasar at 404-421-3956. At press time, the U.S. Senate was still considering its version of tax reform legislation (see yesterday's Advocacy in Action email). Watch your inbox for a comprehensive update in the next few days. On November 24, CMS issued S&C 18-04-NH delaying enforcement for certain F-Tags for Phase 2 of the Long Term Care Requirements of Participation (RoPs). Phase 2 becomes effective on November 28, 2017 simultaneous with the start of the new survey process. This moratorium extends the moratorium previously announced in S&C 17-36-NH on June 30, 2017 by 6 months. Specifically, CMS will provide an 18-month moratorium on the imposition of CMPs, discretionary denials of payment for new admissions and discretionary termination when related to of the F-Tags listed below. NOTE: This moratorium does not apply to mandatory provisions such as mandatory denials of payment for new admissions and mandatory termination for failure to achieve substantial compliance within required timeframes. CMS has directed state survey agencies to follow the standard enforcement process with all available remedies for all the other F-tags. Note that the moratorium may not prevent all CMPs and discretionary penalties for phase 2 depending on how the state survey agency classifies the citation. For example, F758 (psychotropic medications) is on a moratorium, but F757 (unnecessary drugs) is not; the state survey agency could potentially cite the noncompliance under F757 not F758 depending on the circumstances resulting in an enforcement action. CMS explicitly states that this 18-month moratorium does not change the implementation date for the Phase 2 provisions and state survey agencies should cite these tags as appropriate and continue to forward their findings to the RO as normal. State survey agencies will continue to follow standard enforcement procedures related to Phase 1 and will utilize additional new remedies for the F-tags included in the moratorium as explained below. In lieu of the CMPs and discretionary remedies for the Phase 2 F-Tags listed above, CMS has created two additional remedies that may be applied for noncompliance, Directed Plan of Correction (DPOC) and/or Directed In-Service Training (DIST). Once the moratorium is over on May 29, 2019, enforcement for all cited tags will return to the normal enforcement policy. A Directed Plan of Correction (DPOC) is a remedy developed by CMS or the state survey agency requiring the facility to take action within a specified timeframe to correct cited non-compliance. The DPOC will address the structures, policies and processes needed by the facility to demonstrate and maintain substantial compliance. It will be completed as verified by CMS or the state upon a revisit or credible written evidence that can be verified without a site visit. Site re-visits will be expected for any of the tags within the moratorium were cited for Substandard Quality of Care (SQC) or for actual harm or immediate jeopardy. A Directed In-Service Training is an enforcement remedy that may be used when CMS or the state survey agency believes that education is likely to correct the deficiencies and achieve substantial compliance. This remedy will require the relevant staff of the facility to attend an in-service training program that will address a demonstrated knowledge deficit. The training programs should be developed by well-established centers of geriatric health services education. After the training has been completed, CMS or the state survey agency will assess whether substantial compliance has been achieved or as verified by CMS or the state upon a revisit or credible written evidence that can be verified without a site visit. CMS also elaborated on the 5-Star “freeze” announced on June 30, 2017. CMS will be holding constant or “freezing” the health inspection star rating for health inspection surveys and complaint investigations conducted on or after November 28, 2017. They anticipate this freeze to begin in early 2018 and last approximately 1 year. Any survey activity conducted prior November 28, 2017 regardless of whether it is closed by then will be included in the rating as the survey was conducted prior to November 28, 2017. Additionally, CMS stated that the health inspection star rating will no longer use information of the third oldest cycle of the health inspection survey and complaint investigation data. CMS will be dropping the third oldest year just as it would have been dropped from the score due to its age as part of the normal update process. This change will occur in early 2018 for all facilities. At that time, the most recent cycle will be weighted at 60 percent and the prior cycle will be weighted at 40 percent. In addition to the freeze in score, CMS plans to add a summary of the facility’s most recent survey findings on nursing home compare to ensure transparency. This summary will include (minimally) the total number of deficiencies cited and the highest scope and severity level cited. CMS also released S&C 18-05-NH affirming that the new survey process will be effective November 28, 2017 and that Appendix P will no longer be accessible beginning November 28, 2017. Resources on the new survey process are available here. Skilled nursing providers now have until December 15 to begin submitting workplace injury and illness data electronically. OSHA issued a rule last year requiring those with high-hazard injury locations, including skilled nursing, to submit data electronically through OSHA’s Injury Tracking Application. The original compliance deadline was set for July 1, 2017, but was extended in May with no indication of a new date. LeadingAge has updated Medicare Part A Skilled Nursing Facility (SNF) Prospective Payment System and Part B- Therapy calculators to help members assess and estimate the impact of payment changes. Please click here to access this tool that requires login via My.LeadingAge. FULL-no more spaces available. Thank you for your interest! Registered participants may download brochure. Click here to submit a proposal to present. Did you know that 80% of nursing home residents have hearing loss? Americans are tired and energy is in short supply. While there are many possible causes for it, listening fatigue as a cause may be a surprise. 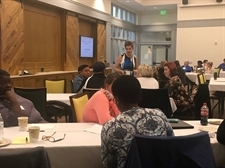 To address this issue the North Carolina Institute of Medicine recently hosted leaders from organizations around the state, including those from DHHS Division of Services for the Deaf and Hard of Hearing, Disability Rights NC, UNC, and LeadingAge NC. Leaders discussed how to improve accommodations for the deaf and hard of hearing. A wealth of information was shared by professionals who specialize in this area. Please click here to access information and resources on this topic featuring four powerpoint presentations you can adapt, guidelines for audiology services in nursing homes from the American Speech-Language-Hearing Association, a meeting summary and more. The physician author of this article differentiates between a consumer and a patient in order to highlight patients' vulnerability. The article includes an infographic summary of the article entitled, "From Consumer to Patient, and All That Comes Between." This might be a helpful reference in clinical meetings with staff where patient-centered care is a focus. This glossary might be a great resource for new, as well as existing, board members. Click here to view the document BoardSource created that defines legal terms specific to nonprofits, governance committees, and essential documents. Senior staff might also appreciate this information. Thanks to everyone who took time to respond to the member question about armed intruder training last month. To download a spreadsheet of the 9 responses that we received, including a (redacted) policy on the topic, please click here. LeadingAge North Carolina invites you to share your expertise in the field of aging services. Submit a proposal to be a presenter at our largest event of the year, the Spring Conference and Trade Show May 14-17, 2018 at The Omni Grove Park Inn in Asheville, NC. We seek proposals that demonstrate best practices, exemplify creativity, and inspire innovation in the field of aging. Submissions may be made online by December 31, 2017. Joe Franco has joined LeadingAge as VP of Grassroots Advocacy. Joe comes to LeadingAge from American Diabetes Association, where he was VP of Grassroots and Internal Advocacy. Prior to that, he held similar positions at Blue Cross Blue Shield Association, Alzheimer's Association and American Cancer Society. Before relocating to Washington, Joe served as campaign manager for several Mayoral and State House races in Colorado. He will be reaching out to learn more about our members and how our respective and collective grassroots activities can support each other. Mather LifeWays and Northwestern University are conducting a landmark study that will determine the impact of living in a Life Plan Community on residents’ long-term health and wellness. The Age Well Study will measure residents’ self-reported health and wellness metrics through a convenient survey taken annually for five years. In return for participating, your organization will receive an annual report on key findings, such as quality of life, self-reported health, and other health-related measures. To mitigate the impact of recent fires in California, as well as the destruction that Hurricanes Harvey, Irma and Maria caused, LeadingAge established a Disaster Relief Fund. The LeadingAge community has rallied to support our peers and we have raised more than $580,000 toward a goal of $1 Million. If you haven't already, please consider giving today. Congratulations to 77 members from across the state who gathered to learn how to infuse joy and meaning into their work at "The Joy of the Job" presented last month. We laughed, got real, and learned how to appreciate ourselves, our work, and our co-workers. 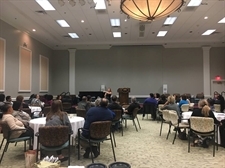 Thanks to The Forest at Duke in Durham and Salemtowne in Winston-Salem for hosting Jody Urquhart's uplifting program for direct service professionals. "You control the project. We help reduce the cost of material and equipment." ■Whether your project is under $1 million or over $500 million Value First can help your community achieve savings on major renovations and construction projects. ■Many of the vendors, architects and designers you do business with are market leaders that are also part of the Value First Construction Services program. ■Value First works with the architects, designers, and general contractors you choose. ■ Connect Value First with your architects, project managers and key staff as early in the process as possible. Higher savings result from early engagement. ♦Assistance with planning and procurement of materials, furniture, fixtures, and equipment. ♦Aggregate of purchases across multiple projects to ensure cost containment. Consult with Brian Smidt, Director of Construction Services, to discuss type of construction project (new building/campus, addition or renovation); number of units/beds being added; phase of construction you are currently in; your chosen architect, engineer, interior designers, etc. After consultation, if you decide to use Value First as your cost savings advocate a Construction Services Participation Agreement and Statement of Work are signed to make us an official part of your strategic team. We will assign a project manager to guide you through cost savings, and we can begin to work with designers and contractors that may already be a part of the project. As your trusted partner and cost savings advocate, Value First will be involved in the bidding process to make sure you are getting the best possible price and quality in your material purchases. Tax reform at the federal level continues its quick march through the U.S. Senate. The Senate Finance committee gave approval on Tuesday to its chamber’s version and the full Senate is expected to vote this evening on the final package of changes. If you are concerned about these impacts, we encourage you to contact Senator Richard Burr and Senator Thom Tillis BY THE END OF TODAY. "I am calling to ask Senator Burr to vote against the tax reform proposal being voted on today because of its impact on the national debt and potential cuts to Medicare, Medicaid and other programs important to seniors. Thank you." "I am calling to ask Senator Tillis to vote against the tax reform proposal being voted on today because of its impact on the national debt and potential cuts to Medicare, Medicaid and other programs important to seniors. Thank you." Thank you for your continuing support of seniors. As always, please CONTACT ME if you have any questions or need additional information. From all of us at LeadingAge North Carolina, warmest wishes for a beautiful Thanksgiving with loved ones. In observance of the holiday our office will be closed Thursday and Friday, November 23rd and 24th. The U.S. House of Representatives yesterday passed major tax reform legislation. Attention on efforts to make the first major changes to the federal tax code in decades now turns to the U.S. Senate, where a vote is expected as early as next week. See this article from The Hill which provides a good overview of the current developments relative to reform legislation. In addition, this article provides a good comparison of the House and Senate tax reform proposals. The House bill contains two provisions that will have significant detrimental effects on our member communities and their residents. First, it eliminates the Medical Expense Deduction which would impose significant additional costs on approximately five million taxpayers over 65 who use the deduction to offset large medical expenses (this article from AARP details the medical deduction issue). Second, it eliminates the ability of nonprofits (including CCRCs/LPCs and affordable housing properties) to utilize tax-exempt financing for renovation and new construction. Our member communities rely on this type of financing and without it, our residents and our state’s economy will be severely impacted. While the Senate’s tax reform proposal restores the medical expense deduction and restores most of the tax-exempt financing language, it’s vitally important that your elected officials hear from you TODAY. As you contact your Senators, thank them for keeping the medical expense deduction and tax-exempt financing provisions. For your House member, urge them to restore these two provisions if and when the two chambers meet to resolve individual differences between their proposals. It’s critical for you to remind your elected officials of the major economic impact our member communities have on North Carolina’s economy. At local, county, and statewide levels, we employ thousands of staff, buy millions of dollars worth of supplies, and give back to countless charities and individuals. Click here for a one-page infographic that details our nearly $2 billion annual economic impact. With the pending vote in the Senate on reform legislation, NOW is the time to reach out. You can find the phone number and office number of your U.S. Representative on the House website. You can browse by state and district and by last name. There are links to the individual Representative's sites where you can find more ways to contact them, including their email, social media, and scheduling a meeting. The Senate website contains an alphabetical list of all Senators, with their Capitol addresses and a link to their Senate website, which will have information about state offices and telephone numbers. It also has a link to the Senate's web/form mail for each Senator. The CMS rule on Emergency Preparedness Requirements for Medicare and Medicaid Participating Providers and Suppliers went into effect yesterday. The purpose of the new requirements is to establish consistent emergency preparedness requirements for healthcare providers participating in Medicare and Medicaid, increase patient safety during emergencies, and establish a more coordinated response to natural and human-caused disasters. LeadingAge has an entire suite of resources, including toolkits, resources, and templates available by CLICKING HERE. Choosing technology to help older adults connect and engage with others? LeadingAge CAST has released a new Social Connectedness and Engagement Technology Selection Tool to help you plan for, select, and implement the best solution for your organization. This tool is the latest in the series of LeadingAge CAST Technology Selection Tools. Each portfolio includes a white paper, interactive guide, selection matrix, online selection tool, and provider case studies. Thank you to Cindy Deporter with DHHS for providing information regarding new requirements related to use of PRN psychotropic and antipsychotic medications. New requirements were added to address the concern that some residents may have PRN orders for psychotropic and antipsychotic medications for extended periods of time without evaluation of the appropriateness of these medications. For more information about these new requirements please CLICK HERE. Cindy Deporter has also provided information regarding crushing meds for oral administration. Her office has received questions on the draft guidance at F759/F760. For clarification with regard to crushing meds for oral administration, please CLICK HERE. Target audience: Marketing professionals and interested professionals. We are partnering with LeadingAge Virginia and LeadingAge Maryland to host our first Marketing Symposium! Topics include: reframing aging; budgeting for marketing as an investment rather than an expense; choosing a new CRM; digital and integrated marketing strategies; diversity and inclusion and research on how consumers use the internet. Don't miss it! Register now and join your colleagues for a lively discussion. How can you tell if leaders in your organization are genuinely welcoming? Do leaders know if they are as welcoming as they think they are? To explore this question, the authors analyzed one large organization with an excellent track record of hiring and promoting diverse candidates and a reputation for inclusion. An organization hired to administer 360-degree feedback assessments for roughly 4,000 leaders and agreed to the use of its data for this analysis. Click here to find out if senior or junior managers are more inclusive, and how inclusive behaviors correlate with overall leadership effectiveness. This November 2017 research brief examines racial and gender disparities among the 4.5 million personal care aides, home health aides, and nursing assistants in this country. Special emphasis is placed on two questions: 1) how has the racial and gender composition of this workforce changed over the past 10 years? and 2) how do race and gender shape the demographic, employment, and economic characteristics of the direct care workforce? This brief is a wonderful resource that addresses two important issues in our field. Every day, 20 veterans take their own lives somewhere in the United States. In North Carolina, five veterans die by suicide each week. Since 2001, the rate of suicide among veterans has increased by 32 percent, according the U.S. Department of Veterans Affairs (VA). The number of veteran suicides is the top priority at the VA, said Harold Kudler, acting assistant deputy under secretary for patient care services at the VA central office. Kudler spent decades working as a psychiatrist at the Durham VA Medical Center, where he focused on post-traumatic stress disorder. It’s widely recognized that advance care planning (ACP) should be a central element of the way that patients, their physicians, and their families decide which end-of-life care to provide. Efforts to boost participation in these conversations include the introduction of new billing codes to financially incentivize primary care physicians to discuss ACP, as well as grassroots advocacy efforts to highlight the importance of discussing end-of-life wishes. And yet these efforts to popularize the creation of advance care documents do not address an important issue: access to them. The North Carolina Partnership for Compassionate Care offers end-of-life planning resources for individuals, health care professionals, and communities around the state. Check out their website today for downloadable resources as well as advance care planning workshops around the state. Please call our office with any questions at 919.571.8333. The cost of living increase is the largest since 2012, and amounts to about $25 per month more for the average beneficiary. Click on this link to read more about how this increase compares to other costs of living. To mitigate the impact of recent fires in California, as well as the destruction that Hurricanes Harvey, Irma and Maria caused, LeadingAge established a Disaster Relief Fund. The LeadingAge community has rallied to support our peers and we have raised more than $544,000 toward a goal of $1 Million. If you haven't already, please consider giving today. Senn Dunn Insurance, a Marsh & McLennan Agency LLC Company, invites community members to participate in their free Employee Benefits Compliance Webinar Series. The webinars will be held on the third Thursdays of each month from 2pm-3pm EST. Click here to download the brochure. Click here to register. “Not only do The Arc participants add value to our dining room with their dedication and hard work but their fellow employees and the residents greatly appreciate their tremendous enthusiasm,” says Demi Tucker, Springmoor’s Dining Room Manager. Congratulations to Springmoor! Congratulations also goes out to Sally, one of Springmoor's employees in the program. She recently celebrated 29 years of service. Welcome to the sixth edition of Inclusion Insights, a regular publication of LeadingAge North Carolina highlighting trends, practices, and news related to inclusion and diversity issues in aging services. We welcome your feedback, questions, and ideas. This article is the first in a series of articles presenting the results of BoardSource’s 2017 survey of nonprofit boards. The somewhat surprising results of the survey prompted the creation of the next two resources listed below. Leading with Intent: 2017 National Index of Nonprofit Board Practices reveals some troubling information about the diversity of today’s nonprofit boards: We’re making little progress in diversifying our boards, are dissatisfied with our board diversity, and are doing little to prioritize it in our board recruitment practices. In an effort to spark action, BoardSource presents five questions for your board to contemplate. This 60-minute on-demand workshop is designed for action. It is facilitated by Anne Wallestad, CEO of BoardSource, and Vernetta Walker, Chief Governance Officer and Vice President of Programs for BoardSource. For learning objectives and payment information please click here. What are the benefits of a gender balanced board? To find out, the authors of this article interviewed 16 CEOs or board members who had an average female board composition of 49.8%. Interviewees also explained how they achieved gender parity and why they felt other CEOs have not taken similar steps. If your board is struggling with a similar issue, this article could help. Hospitals are making more of a concerted effort to be sensitive to the traditionally marginalized population of LGBTQ patients. Read this article to learn more about what some hospitals are doing that might be applicable in your community, from using preferred names in electronic medical records to creating resource groups for LGBTQ employees and patients. The authors interviewed 40 transgender individuals across the United States about their workplace experiences. If someone on your staff were transitioning, would you know how to be supportive, and would you be comfortable reaching out? How best to be supportive might surprise you. Click here to understand more fully the challenges of transitioning and learn how to be an inclusive co-worker. Researchers at the University of North Carolina-Chapel Hill’s Kenan-Flagler Business School continue their work on the diversity study commissioned by the LeadingAge North Carolina Foundation. Preliminary interviews with current CCRC/LPC residents have been completed and focus groups are gearing up. We anticipate receiving a preliminary draft of the study sometime in December. of general or group correspondence, you can update your email preferences here. Contacting your representatives in Washington, DC TODAY is critical to the preservation of two items vitally important to your residents and your communities: (1) the medical expense deduction, and (2) access to tax exempt financing for CCRCs, affordable housing, hospitals, and other nonprofits. YOUR ELECTED OFFICIAL UNDERSTANDS THE POWER OF THOUSANDS OF CONSTITUENTS CONTACTING THEIR OFFICE. LeadingAge (national) has sent out the following Action Alert requesting state affiliates and their members to contact their representatives in Congress today and urge them to oppose changes in the tax code which would harm senior citizens. We urge you to make your contacts ASAP! Just as important, we urge you to share this information with your residents, your staff, and all the friends of your community. 1. Elimination of the tax deduction for medical expenses. 2. Elimination of tax-exempt financing for the development and preservation of affordable senior housing and life plan communities/CCRCs. My name is _______ and I am a constituent. I urge Representative/Senator ____ to oppose provisions of H.R. 1, tax reform legislation that would eliminate the medical expense deduction. Also, please preserve tax-exempt financing for the development and preservation of affordable senior housing and retirement communities, which would be eliminated under H.R. 1. I hope Representative/Senator ____ will stand up for older adults and protect these crucial tax benefits for seniors and middle-income families. We are so proud that Steve Fleming was installed as national's board chair at the Annual Meeting and Expo earlier this week. We look forward to serving under his leadership and embracing his vision. Please click here to read Steve's comments on that occasion. Thanks to all of our members who attended State Night Out Monday night in New Orleans to celebrate Team Fleming and enjoy one another's company! North Carolina's Department of Health and Human Services (DHHS) is currently studying PACE in North Carolina, and your input is needed! All PACE stakeholders, including participants, caregivers, providers, and the general public are invited to speak at the remaining DHHS public listening session, listed below. Comments at the listening sessions will help inform the report and guide recommendations to the Department and to the NC General Assembly. This is our best opportunity to demonstrate the actual and potential impact of PACE in North Carolina. You can also email your comments to medicaid.pace@dhhs.nc.gov. Choose the date that works best for your community. Join us for a fun filled day that will provide a positive and meaningful perspective in the midst of stress and change. Our presenter, Jody Urquhart is an an author and internationally recognized speaker who comes highly recommended by several LeadingAge state affiliates. Learn how to: nurture the meaning and pride of your work; handle difficult situations and challenging people; and take steps to boost morale and increase cooperation. Note, this program is not just for direct service staff, but anyone who faces challenges in their job...that's all of us, right? Click here for registration and information. Facilitated by Jody Urquhart, known for her humorous and compassionate motivational sessions. Register for 11/6 by clicking here. Register and learn about the four key elements of the new CMS Emergency Preparedness Rule and how to implement them in your community. Communications Plan: Develop and maintain an emergency preparedness communication plan that complies with both Federal and State law. Please contact Hannah Gompers with any questions at 704-579-4150. Looking ahead at your professional development for the remainder of this year, be sure to include LeadingAge North Carolina events and programs. Click here for the 2017 Calendar. Redefine solitude, "starve your distractions," clarify urgent versus important tasks, and more in this readable article about leading yourself before you try to lead others. This author frames the care workforce issue as one of social justice. Consider using this article when you need a resource outside of the field of aging to strengthen your case with constituents. Did you know that suicide rates are higher among older adults than younger? This article suggests potential causes of older adult suicide and what our role is in helping prevent such tragedy. Looking for an innovative way to help your team bond? This author provides step-by-step instructions on how to use photography to create connection. The reasons why it works may surprise you! Considering using this approach at your next retreat. To mitigate the impact of recent fires in California, as well as the destruction that Hurricanes Harvey, Irma and Maria caused, LeadingAge established a Disaster Relief Fund. 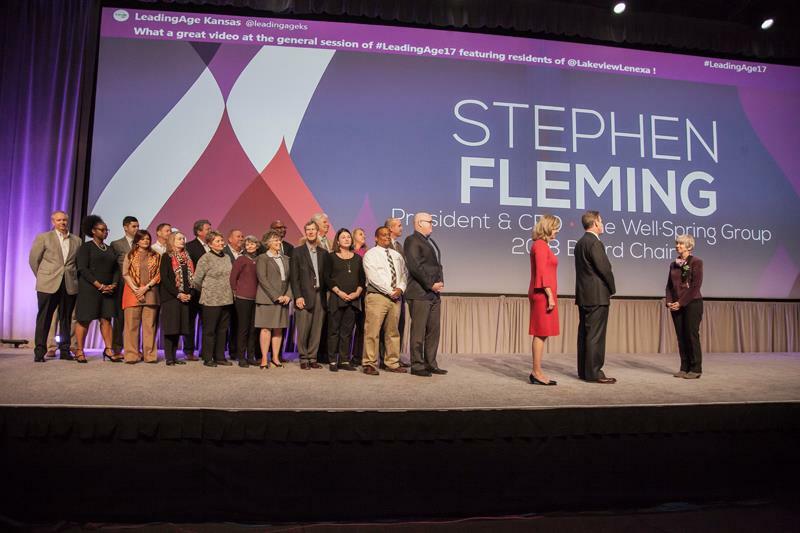 The LeadingAge community has rallied to support our peers and we have raised more than $513,000 toward a goal of $1 Million. If you haven't already, please consider giving today. With relevant information for financial executives, sessions include an economic outlook, tax strategy and updates, employment law and compliance, best practices insights for financial executives and more. Please click here to register for any of the dates and contact Andy Harding with questions. Carolina SeniorCare and the Alzheimer’s Association have partnered to help those that could be affected by Alzheimer’s disease and related memory disorders through a FREE two-part seminar series. Both sessions will be held at Carolina SeniorCare, 802 East Center St., Lexington, NC. This session will guide you in identifying common triggers for dementia behaviors, explain the process for assessing behaviors and address best practices and strategies to handle behaviors. If you or someone you know is experiencing memory loss or behavioral changes, it’s time to learn the facts. Please register your attendance by contacting Amanda Gardner at 336-746-3507 or agardner@uchas.org. 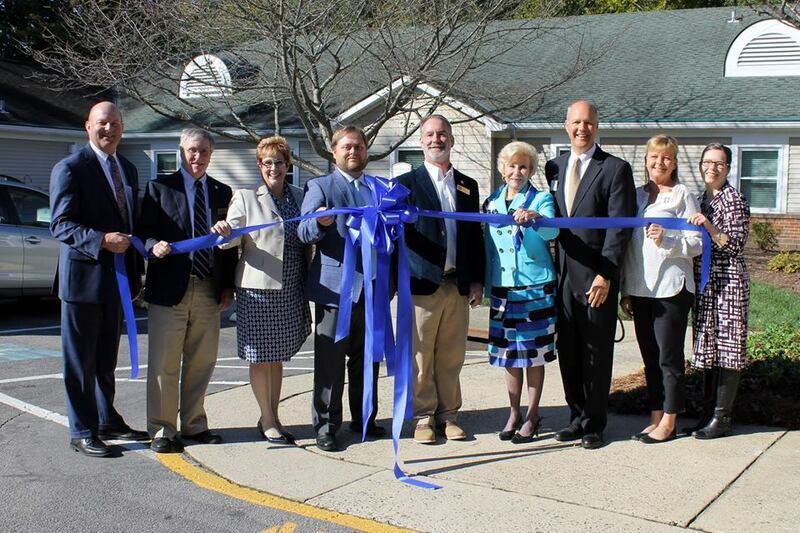 Congratulations to Glenaire in Cary on the completion of their newly renovated health center last week. We’ve heard from providers, residents, board members, family members…and now AARP: save the medical expense deduction! Current tax reform efforts underway in Washington, DC call for the elimination of the medical expense deduction, a move that would have serious financial consequences for those with high medical expenses. NOW is the time to contact your elected officials and have your voice be heard. Click here for specific information about the proposed loss of the deduction and for an easy way to contact your elected officials. Many voices are being brought to the table on this issue, thanks in large part to the work of the North Carolina Continuing Care Residents Association (NorCCRA). They’ve assumed a leadership role nationally on this issue and LeadingAge North Carolina is a proud collaborator with them. Sindy Barker, NorCCRA’s legislative policy chair (and a LeadingAge NC board member) continues to provide outstanding leadership. Only a couple of weeks remain to register for the North Carolina Chamber’s 2017 Health Care Conference: Profiles of Health Care Value in North Carolina. This year's conference brings together business leaders from small, mid-size, and large businesses across the state to discuss best strategies for improving health care value while slashing health care costs. Is job stress and burnout getting you down? Learn how to adopt a humorous and fun approach to the challenges of the daily grind. Do you feel tired emotionally and drained by conflict? Learn how to handle the most stressful situations and the most challenging people. Click here for registration and information. Facilitated by Jody Urquhart, known for her humorous and compassionate motivational sessions. Register for 10/26 by clicking here. We'll announce the new date and program for our dining professionals soon. Though public wifi may be convenient, using it places our personal and work digital security at serious risk. Take a look at this article to learn how to protect yourself from the hackers that are waiting to steal your information. Our most popular article on Facebook recently. Ever wondered how to encourage creative brainstorming among your team? It might seem counter intuitive but researchers have found that starting with a self-deprecating story encourages candor and creativity. Read this article for inspiration on how to kick off your next brainstorming session. Our second most popular article on Facebook in the past couple of weeks. This brief interview highlights the usefulness of advance care planning to help loved ones and health care providers honor our goals and wishes if we become unable to speak for ourselves. Read and share this article with staff and loved ones if you are unsure what advance care planning entails, or why it might make sense. And then consider reflecting and writing down your wishes with help from the NC Partnership for Compassionate Care. NCPCC is planning several advance care workshops across the state this year. This month workshops are taking place in Salisbury, Winston-Salem, Mocksville, and King. Visit http://www.gotplans123.org to learn more about advance care planning, to download the planning forms, or to register for a workshop today. What are the benefits of a gender balanced board? To find out, the authors of this article interviewed 16 CEOs or board members who had an average of 49.8% women on their boards. Interviewees also explained how they achieved gender parity and why they felt other CEOs have not taken similar steps. If your board is struggling with a similar issue, this article could help. 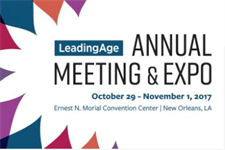 Planning to attend the LeadingAge Annual Meeting in New Orleans? Please join us! Community and Business Members are invited to attend State Night Out from 6:00-7:30pm at the Hilton New Orleans Riverside. Complimentary beer and wine from 6-7pm. This event is private and is only open to LeadingAge North Carolina Members. RSVP by clicking here. To care well for others, we need to reinforce our own passion for what we do—and actively work to improve how to support our country’s aging population today. That’s exactly what we do at the LeadingAge Annual Meeting & EXPO, our nation’s largest annual event for the not-for-profit aging services field. In education sessions, during general sessions and through eye-opening, one-of-a-kind experiences, you and your team will be immersed in our shared mission of helping older adults thrive. More than 200 of your North Carolina colleagues are registered to attend and it’s not too late to make your plans. For conference information, please click here. To mitigate the impact of recent fires in California, as well as the destruction that Hurricanes Harvey, Irma and Maria caused, LeadingAge established a Disaster Relief Fund. 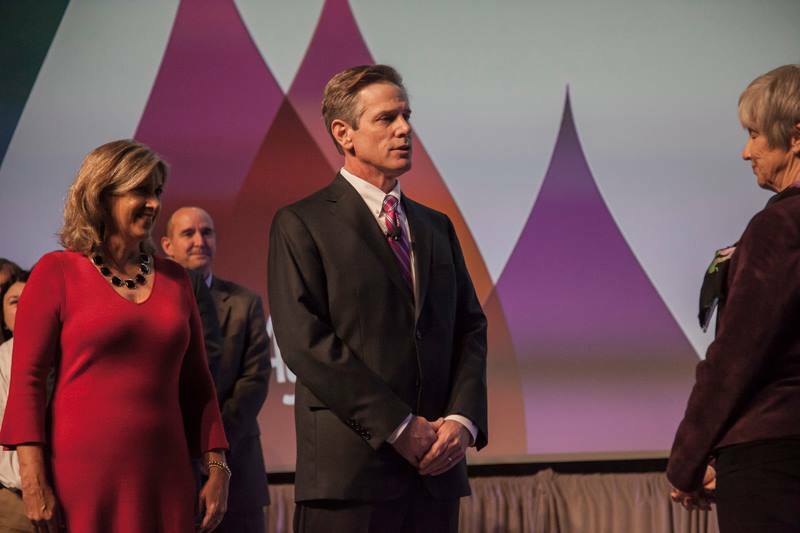 The LeadingAge community has rallied to support their peers and has raised more than $445,000 toward a goal of $1 Million. We are incredibly grateful for this outpouring of generosity from our LeadingAge family. This session will cover symptoms of dementia, how Alzheimer’s affects the brain, causes and risk factors, stages of the disease, treatment and hope for the future. The Cypress of Raleigh Club, Inc.
1. Identify the role and responsibility of the inter-professional team in addressing falls in the post-acute environment. This program will provide an overview of the development of a partnership between medical and community models using the methods and communication needed to implement a sustainable fall risk management method. Click here to download registration form. Academy visit to NC DOI in August 2017. Patricia (Pat) Jones has joined the North Carolina Department of Insurance as Administrative Assistant. Pat joins the team with more than 25 years of state government experience including consumer protection and administrative management. She brings a great deal of skill, talent, and value to the Special Entities Section. Please join us in welcoming Pat to the Department and Special Entities Section. And please note Pat's contact information below for your records. LeadingAge Value First members can access our exclusive FleetAssets vehicle rebate program for any new company van, car, truck or shuttle bus. Click here to see sample vehicles. Contact Value First Representative, Vanessa Ceasar at (404) 421-3956 for additional information. To mitigate the impact of destruction that Hurricanes Harvey, Irma and Maria caused, LeadingAge established a Hurricane Disaster Relief Fund. The LeadingAge community rallied to support their peers and has raised more than $400,000 from almost 1,000 donors thus far. We are incredibly grateful for this outpouring of generosity from our LeadingAge family. Doubling the standard deduction. This would lead to tax cuts for many low- and middle-income individuals and families. It also could have the unintended consequence of eliminating tax incentives for charitable giving for most Americans. Simplifying individual income taxes by consolidating seven tax brackets into three brackets. This would likely simplify tax filings for many Americans and could lead to tax cuts for individuals and families with relatively high incomes (although the blueprint allows for the possibility of "an additional top rate [for] the highest-income taxpayers to ensure that the reformed tax code is at least as progressive as the existing tax code and does not shift tax burden from high-income and lower-and middle-income taxpayers"). Eliminating various tax breaks. The framework would maintain deductions for charitable contributions and mortgage interest but eliminate many other deductions, exemptions, and credits, including the deduction for medical expenses. Watch your inbox on Monday for a special announcement and materials related to the medical expense deduction. Eliminating the estate tax. Historically, many wealthy Americans have made large bequests to nonprofits or established grant-making foundations as part of their estate planning. The repeal of the estate tax could reduce incentives for these large investments in the work of charitable nonprofits. Lowering corporate income tax rates. The framework would reduce the corporate income tax rate to 20% and reduce maximum tax rates for small businesses to 25%. This would not affect most charitable nonprofits, since 501(c)(3) organizations are generally exempt from paying federal income tax. However, it could reduce tax rates for nonprofits with significant unrelated business taxable income. For nonprofits, the most notable effect of this tax blueprint would be its impact on charitable giving. Researchers have estimated that doubling the standard deduction would mean that only about 5% of taxpayers would use itemized deductions and therefore have tax incentives to give to nonprofits. Currently, about one-third of North Carolinians itemize their taxes ever year. Overall, this change would reduce charitable giving by billions of dollars every year. That's why the North Carolina Center for Nonprofits is advocating for Congress to use tax reform as a way to strengthen - rather than weaken - investment in the work of nonprofits by creating a non-itemizer deduction for charitable contributions. The tax reform blueprint is merely a starting point for the tax reform process and doesn't provide details of many other tax provisions that could have a significant impact on nonprofits. It is possible that other tax legislation affecting nonprofits, such as the CHARITY Act of 2017, could be included in tax reform legislation as it moves through Congressional committees in the coming months. Voter turnout is typically extremely low for municipal elections. That's why it is important for our member communities to remind your staff, boards, volunteers, and those they serve about the importance of voting in these off-year elections. Several cities in North Carolina - including Asheville, Durham, Fayetteville, Greensboro, Hickory, High Point, and Raleigh - will hold municipal elections on Tuesday, October 10. The North Carolina State Board of Elections & Ethics Enforcement has compiled a list of municipalities with October elections. In other parts of the state, municipal elections will be held on Tuesday, November 7. While 501(c)(3) nonprofits cannot endorse candidates, they can take positions on ballot initiatives (such as bond referenda that are on many municipal ballots) and they can provide nonpartisan information about where and when to vote. Look up your sample ballot. Simply enter your name at the N.C. State Board of Elections voter search and click on your sample ballot for the General Election. Make sure your community's staff and volunteers have an opportunity to vote on Election Day (whenever that is in your city or town). Unlike some other states, North Carolina doesn't require employers to provide paid time off on Election Day. Remind your staff, volunteers, and those you serve that it's not too late to register (or change their address) during Early Voting. Same-day registration is not available on Election Day, so first-time voters and citizens who have recently moved will need to complete voter registration forms during Early Voting. Check with your county board of elections for Early Voting hours and locations. CMS has posted the revised Long Term Care Survey Procedure Guide (effective November 28, 2017) on the CMS website under Downloads / LTCSP Procedure Guide. Check it out today. The North Carolina Department of Insurance is now accepting nominations for four upcoming vacancies on their CCRC Advisory Committee. Open positions include two at-large members of the committee, one member skilled as an architect/engineer, and one member that is a CCRC community resident. For more information about submitting a nomination, please click here. Succession planning is one of the board's most important oversight responsibilities, and an integrated systematic approach to the acquisition, development, and retention of key talent is integral to an organization's long-term success. There are many executive retirements in the aging services field on the near horizon, as well as normal career changes. This uptick in foreseeable changes to an organization's "C" suite positions puts real-time pressures on you to be proactive in planning for your leadership transitions. • What succession planning "is" and "is not"
Looking ahead at your professional development this year, be sure to include LeadingAge North Carolina events and programs. Click here for the 2017 Calendar. More older workers who do not have adequate retirement savings are hitting the road to find work. Called, 'workampers', they travel to find seasonal work at hourly wages offered by companies such as Amazon and Walmart. A good article to summarize for your constituents the financial state of older age for many Americans. Click here to read more. Did you know that there are different types of grief? Sometimes having a name for what you are experiencing helps you cope. Read this article for yourself and then share it for the benefit of residents and staff at your community, many of whom have faced the pain of loss, or will at some point in the future. Having a better understanding of grief may help staff support each other and residents in your community. End of life issues are very different today than they were when the hospice movement gained momentum a few decades ago. Read this article to understand the complicating factors that residents in your community may face as they approach their own end of life or that of a loved one. Several geriatricians weigh in and offer creative suggestions for hospice of the future. Though still not the norm among most organizations, the National Alliance of Caregiving is seeing a slow increase in caregiving benefits since the 2008 recession. Read this article to understand some of the reasons such policies are helpful and then consider, what is your community's policy on supporting staff who are caregivers? Does your community's financial dashboard encourage discussion and present key indicators in an understandable way? In this recorded one-hour workshop, two nonprofits discuss the rationales behind what they track, the tools they use to construct the graphics, and the ways their dashboards are used to guide conversations with stakeholders. After introductions, the workshop begins at about the 10-minute mark. Powerpoint slides are provided for download. Next Avenue has announced its 2017 Influencers in Aging honorees and three people associated with LeadingAge national have been recognized including Robyn Stone, Kathryn Roberts, and Richard Browdie. Honorees are selected for their ability "to push beyond traditional boundaries and change our understanding of what it means to grow older." LeadingAge and the Center for Aging Services Technology (CAST) announced an updated Medication Management Selection Tool and a new case study, released new data on EHR sophistication among LZ-150 participants and shared the news that nursing homes can now benefit from Rural Health Care Program subsidies, thanks to LeadingAge and CAST member advocacy. Perspectives on electronic health record (EHR) and IT spending, CAST member news and patients’ openness to telehealth round out CAST’s recent message. Click here for more information about CAST and its work. LeadingAge North Carolina members had a great showing at the NC Chamber's 2017 Women: A Force in Business conference held in Raleigh on September 21. Thanks to at least 24 members who made the trip from across the state to learn more about leadership, wealth management, digital branding, and more. Advance care planning helps your loved ones and health care providers honor your goals and wishes if you are unable to speak for yourself. If you are ever in an accident, have surgery, or get a serious illness you may need someone to advocate for your wishes. Consider reflecting and writing down your wishes with help from the NC Partnership for Compassionate Care. NCPCC is planning several Advance Care Workshops across the state this year. This month workshops are taking place in Salisbury, Mocksville, and King. Visit http://www.gotplans123.org to learn more about advance care planning or to register for a workshop today. Crescendo Strategies’ video-based online course, “Managing the Millennial Mindset,” showcases first-hand stories about the real generational issues on the T.A.B.L.E. (differing opinions about technology, authority, balance, loyalty, and entitlement). No PowerPoint slides with recorded video. This course is NOT a live or recorded webinar, and it is NOT intended for group viewing. It was designed for individual managers to complete at their own pace. Ready to preview the course now? Click here and then select the arrow on the video preview image. Complete this course at your own pace by watching 15 short videos that share the backstory of why Millennials work differently than previous generations, and provide strategies for bridging today’s widening generational gaps. Managers will learn critical insights about leading today’s diverse workforce that will help reduce unnecessary employee turnover costing your organization precious time and money. Click here to download and print the flyer. Congratulations to The Forest at Duke in Durham for being upgraded to A- by Fitch. There are only about 30 A-category rated LPCs/CCRCs, so this quite an accomplishment. From incontinence products to nutritional supplements, your community can achieve savings through Value First, LeadingAge’s group purchasing organization (GPO). The list above is just a sample of the manufacturer contracts in the med-surg spend category. When was the last time your community analyzed costs in this area? Would you like to find out if you can save money on medical supplies? Let Value First do a cost study to compare what you are currently paying vs. pricing available through Value First. Cost Studies are a free service for LeadingAge/Value First members. Request yours today! Contact Value First Representative, Vanessa Ceasar at (404) 421-3956 for additional information. Vanessa will work with you on the data and format required from your medical supplies distributor to do the cost study. Schedule a meeting with your Value First rep to review cost study results and to get additional information about the GPO and how Value First can best serve you. Whether you are interested in doing a cost study or need help with quotes on big-ticket items such as computers, kitchen and laundry equipment, patient room furniture, exercise equipment, etc. your Value First representative can assist you. Tell us what you need. Value First group purchasing organization is owned by LeadingAge. The GPO is designed to leverage the buying power of LeadingAge members across the country to get the best pricing on a comprehensive array of products and services.